The Vatican City will make its debut at the Venice Architecture Biennale this year, by building a series of chapels by architects including Norman Foster, Eduardo Souto de Moura and Teronobu Fujimori. 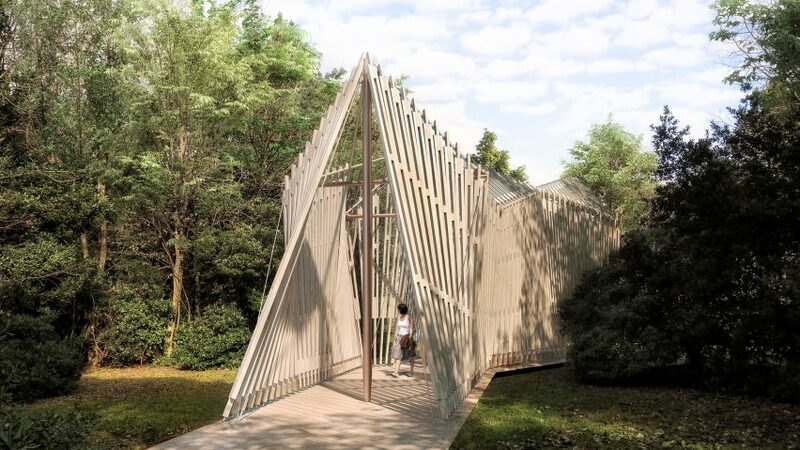 Curated by architectural historian Francesco Dal Co, the Holy See Pavilion will feature 10 chapels, designed by prolific architects from around the world. The other participating architects are Andrew Berman, Francesco Cellini, Javier Corvalán, Carla Juaçaba, Sean Godsell, Eva Prats and Ricardo Flores and Smiljan Radić. The buildings will be constructed in a large wooded area on the island of San Giorgio Maggiore in Venice. "The Holy See, which represents the Catholic Church in its entirety, makes its first entrance to the arena of the Biennale di Architettura di Venezia," reads a statement from the Vatican's Pontifical Council for Culture. "It does so landing in the lagoon on the splendid island of San Giorgio, penetrating a woodland oasis not with graphic representations or models, but with a veritable sequence of chapels." Located within Rome, the Vatican City is the world's smallest state, both by area and by population, and is governed by the pope. The architects that will represent the state at the Biennale were chosen because the Vatican believes they will create a range of aesthetics. "The choice of the invited architects was based on the decision to focus on designers capable of applying different expressive languages, all with clear personalities from the standpoint of constructive experimentation, belonging to different generations, and hailing from Europe, Australia, Japan, the United States and South America, in order to reflect the universal – indeed catholic – nature of the Church," read the statement. The architects were asked to base their design on a chapel in Stockholm designed by Swedish architect Gunnar Asplund in 1920, featuring a striking triangular roof supported by slender columns. "With this small masterpiece Asplund defined the chapel as a place of orientation, encounter and meditation, seemingly formed by chance or natural forces inside a vast forest, seen as the physical suggestion of the labyrinthine progress of life, the wandering of humankind as a prelude to the encounter," said Dal Co. Some of the designs are more radical than others. London-based Foster + Partners has imagined a tent-like structure made from wood, built around three symbolic crosses. "Our aim is to create a small sanctuary space diffused with dappled shade and removed from the normality of passers-by, focussed instead on the water and sky beyond," said the firm. New York-based Andrew Berman has planned a design more akin to the original, while Melbourne-based Sean Godsell imagined a bell tower with his design. Meanwhile, Rio de Janeiro-based Carla Juaçaba has designed a series of overlapping crosses in stainless steel. "The chapel can disappear at a certain moment depending on the reflections of the sun and the trees," said Juaçaba. Along with the 10 chapels, there will be an exhibition space designed by Venice-based Map Studio containing drawings and a model of Asplund's chapel. This display pavilion will stand at the entrance to the Holy See Pavilion, to help explain why this building chapel was chosen as the starting point. The Vatican plans to dismantle the chapels at the end of the Biennale and rebuild them in Italian communities that have suffered earthquakes.